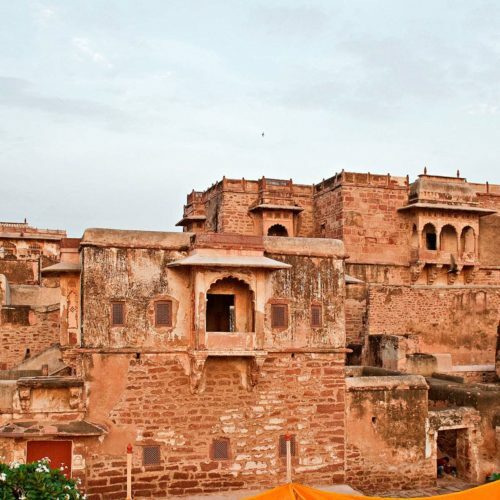 This 17th Century Red Sandstone Bal Samand Palace is located in the ancient capital of Marwar, Mandore, just 8 km outside the center of Jodhpur. Built by Mahajara Jaswant Singh I of Jodhpur at the peak of the Rathore rule, Bal Samand is a fine example of Mughal architecture, with extensive pleasure gardens, designed to create an oasis away from the fierce Marwar extremities. The Palace is set within 60 acres of lime and pomegranate orchards and landscape gardens, which lead up to the promenade overlooking the 12th Century reservoir. 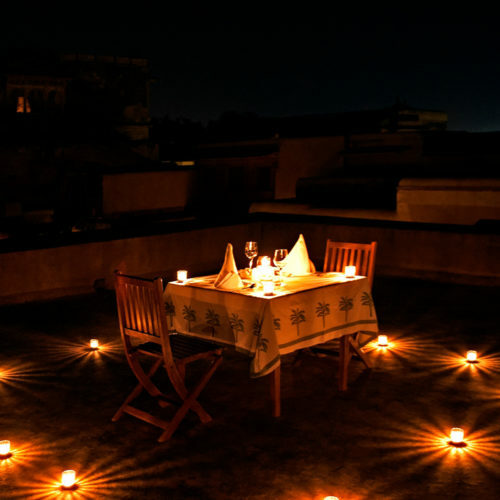 In more recent times a tradition has developed with the Royal Family celebrating the first rains in Bal Samand, a custom which has led to the palace being referred to as a Monsoon Palace. 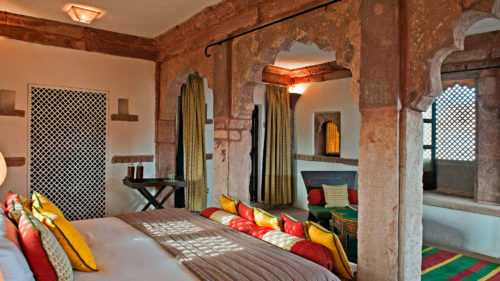 The Palace features ten suite bedrooms, decorated in the traditional Jodhpur style. Traditional seating areas, dining alcoves, period furniture and spacious bathrooms offer spectacular views of the lake and gardens. Separate to the main Palace, are the Garden Rooms, of which there are 26. These rooms offer an affordable accommodation alternative and are located within the lower garden lawns. Here guests can wander around the private Rose Garden, croquet lawn and restaurant. A 250 sqmopen air turquoise swimming pool is encased by an arched parade and enjoyed by all guests at the property. The property features food and beverage outlets: The Garden Restaurant, Kebab Konner: Barbeque and Lake View Restaurant. This Mirage of pleasure earnt its place in our top 8 things to do in Jodhpur, was featured in our 50 most luxurious experiences in India and truly is one of the most beautiful palace hotels in India.